the Musée des Confluences finally opened its doors on 22nd December. It will have cost 239 million euros (competing against 200 million for the Mucem in Marseille and 65 million at the Centre Pompidou in Metz), displaying 2 million objects and establishing itself as one of the great science museums. 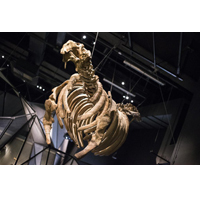 More than simply a natural history museum that reunites all areas, from palaeontology to Egyptology and even mineralogy, this goldmine covers every discipline. A must-visit for the end of the year and all of 2015.